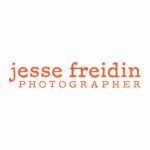 Jesse Freidin is one of America’s leading fine art dog photographers. Based in Santa Fe, he works with clients from coast to coast to tell meaningful visual stories honoring their beloved canine companions. His award-winning black and white dog portraiture has been featured in The Huffington Post, New York Times, Vogue and many more. Learn more about commissions or set up a time to swing by the studio: www.jessefreidin.com. Instagram.